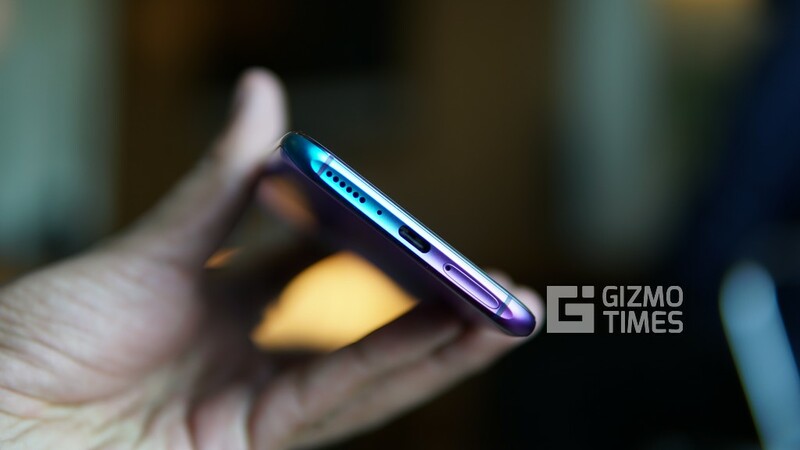 Not very long ago, OPPO was successful in turning some heads with their OPPO Find X which was an unconventional phone with a unique way of getting a notch-free edge-to-edge display. 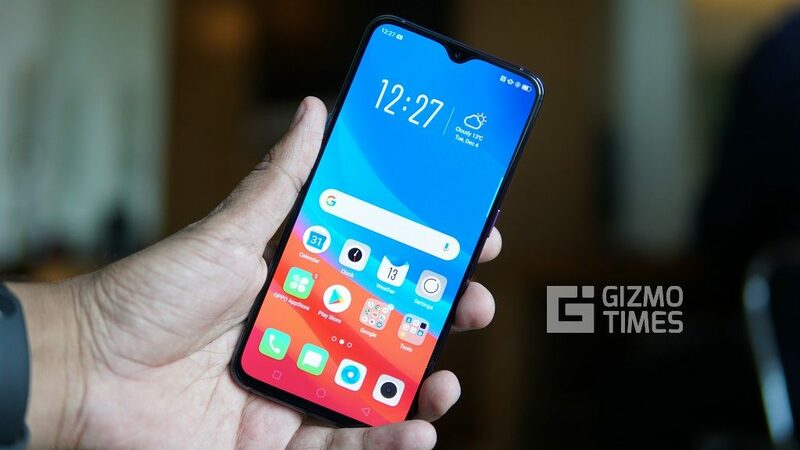 The OPPO R17 Pro is yet another portrayal of what the company can do when put to test. 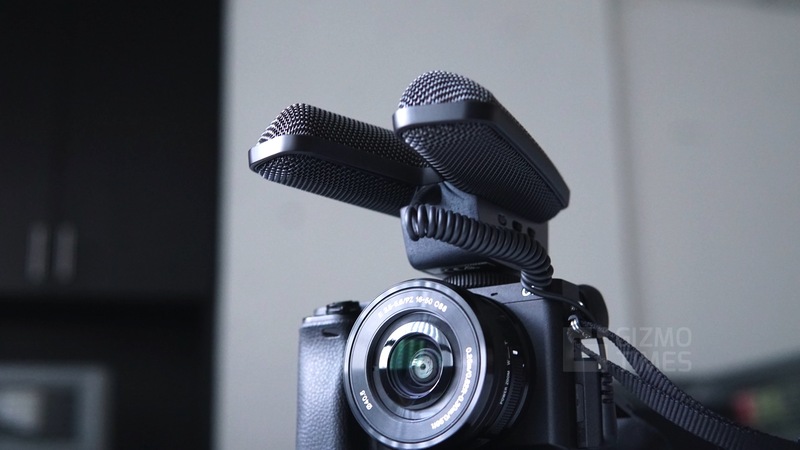 The device was earlier launched in China as the RX 17 pro and has now made its way to India for a price of Rs 45,990 making it a premium device. 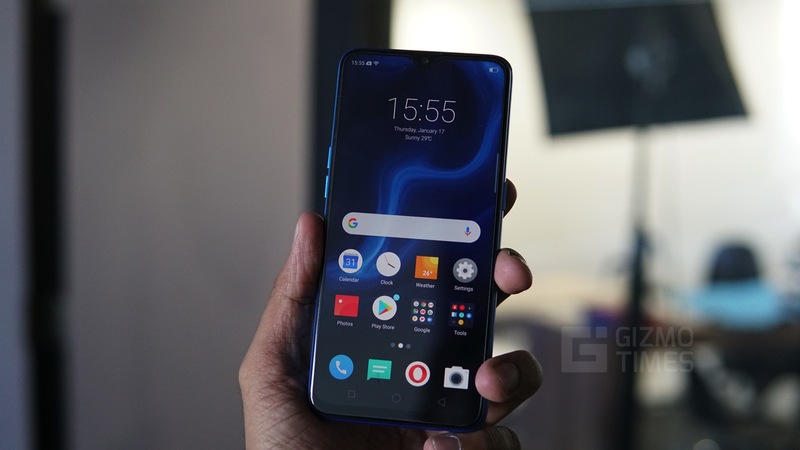 Currently, the other competitors in the given price segment include the Vivo Nex and the OnePlus 6T, both of which are powered by the Qualcomm Snapdragon 845 chipset. 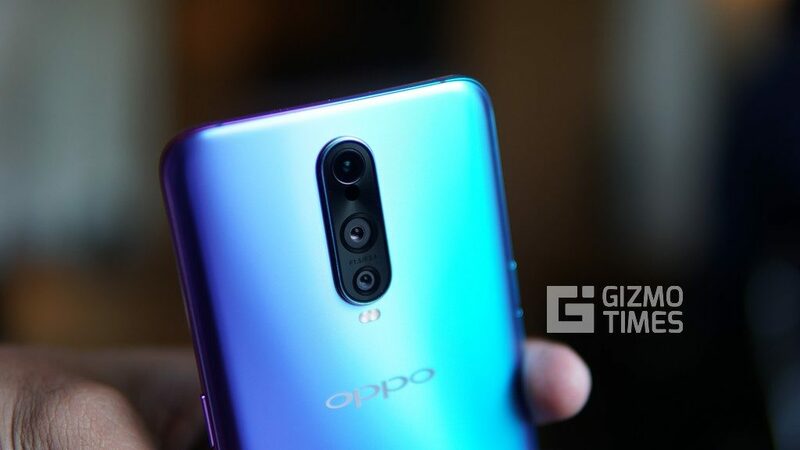 The other devices in the segment are generally previous flagships giving the OPPO R17 Pro a push that is needed. 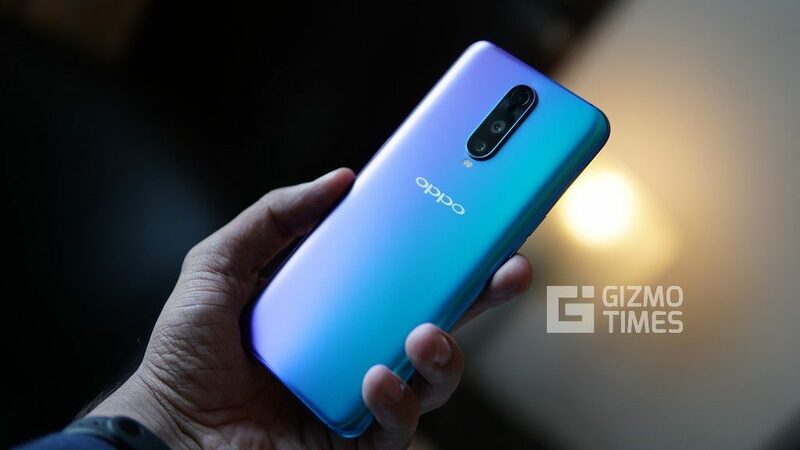 We’ve used the Oppo R17 Pro as our primary smartphone over the past several days and weighed in the pros and cons of the smartphone. 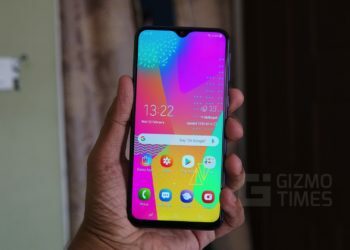 Oppo has been experimenting a lot in the recent past and this was evident with the launch of the Oppo Find X, the Oppo R17 Pro, however, has no major changes in the physical design but brings in a major improvement to the overall appeal with visuals. The Oppo R17 Pro looks very similar to the OnePlus 6T and keeping them side by side makes it even more difficult to set apart the differences. The device feels well built with a sturdy chassis but is very slippery to hold. The complete phone has a metal build adding to the premium factor and the back panel with a triple rear camera setup aligned in the center has a clean look. Oppo has introduced a gradient back panel, a trend picking up quickly among brands like Vivo, OnePlus and even Oppo. While there are some users who very much enjoy the gradient back, the rest consider it a turn off. 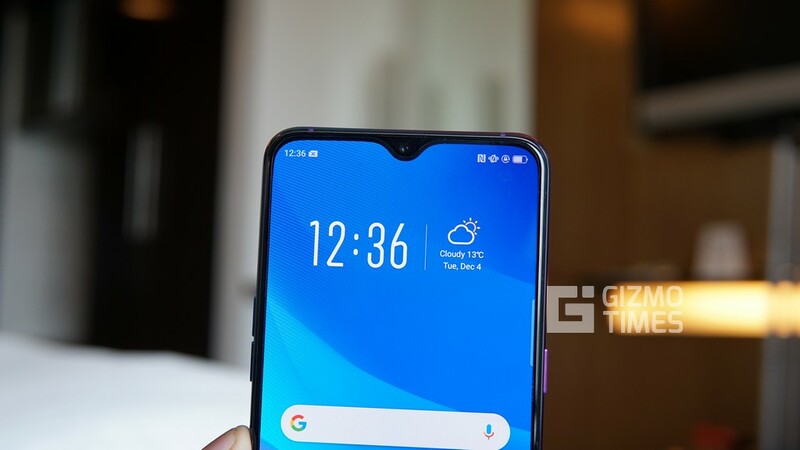 Either way, the Oppo R17 Pro was successful in grabbing quite some attention when we used it in the public. The camera bump on the rear of the device is significant and can easily be felt, the device also wobbles occasionally when placed on a hard surface. The buttons and ports are placed in the most accessible positions, the power and volume buttons are placed on the right and left sides respectively. The mono speaker unit is placed to the bottom and gets muffled sometimes when using the phone in landscape. The type-C USB port is placed in between the mono speaker and the SIM card tray placed to the right. Sadly, our favorite 3.5mm has retired, luckily the box does come with Type-C earphones along with the type-c to 3.5mm converter for the loyalists. The Oppo R17 Pro was successful in pleasing us to the limits, the 6.4-inch FullHD+ resolution display comes with a water drop notch on the top to accommodate the front camera. This is similar to what we saw on the OnePlus 6T and other sibling brands. The display is large and comfortable for watching Shows and movies, the 19.5:9 aspect ratio makes the phone look tall and helps edge the phone to 91.5% screen-to-body ratio. While the AMOLED panel does make the colors pop out, the colors are just not as pleasing as on the higher end Samsung Galaxy devices. The protection for the display is provided by the Corning Gorilla Glass 6 and was successful in preventing scratches and resisting breaks in certain drops. The brightness levels are decent, and we could use in most lighting conditions, the contrast is pretty good, and blacks are very deep as expected from an AMOLED display. The software allows you to scale the applications to full screen to make use of all the available real-estate area. The Night Shield feature works as a blue light filter and helps prevent damage to the eye. 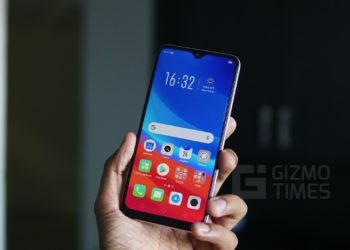 The display comes with the on-screen optical fingerprint sensor which has a pretty good success rate, however, given the speed of the fingerprint sensor we got used to the Face Unlock and found ourselves rarely using the Fingerprint Sensor. There is a clean animation where the fingerprint is supposed to be placed and this region increases in brightness while reading a fingerprint to make the reflection brighter. The Oppo R17 Pro is powered by the Qualcomm Snapdragon 710 processor making it the first smartphone in India. o be powered by this chipset. The Snapdragon 710 is based on a 10mm manufacturing process and has eight cores, the 700 series chipsets are the mid-tier between their flagship and premium chipset options. 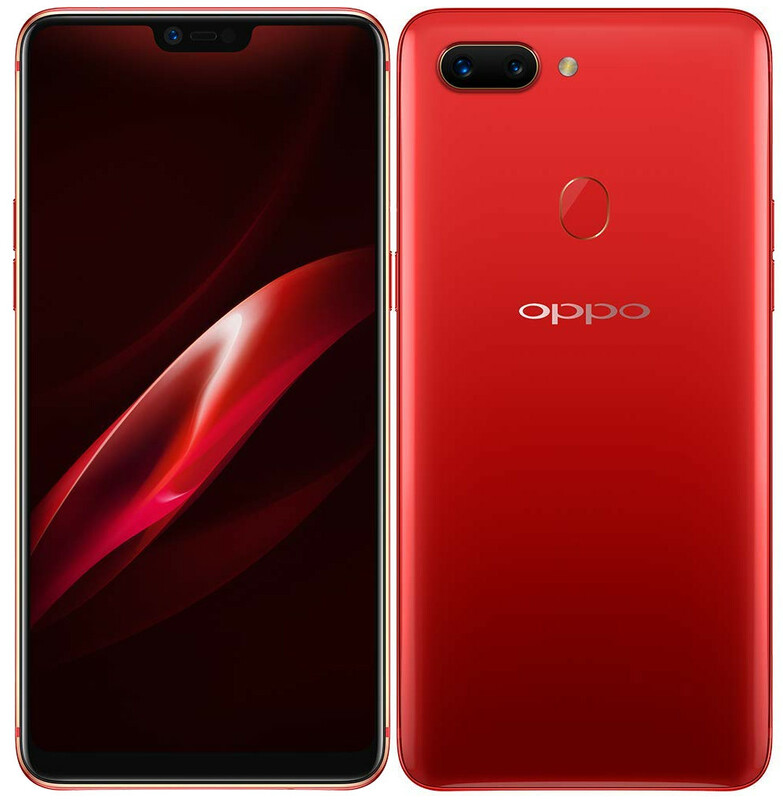 While there are several other devices in the same or lower price bracket running on the more powerful Qualcomm Snapdragon 845 chipset, the Oppo R17 Pro gets the work done well with the Snapdragon 845. 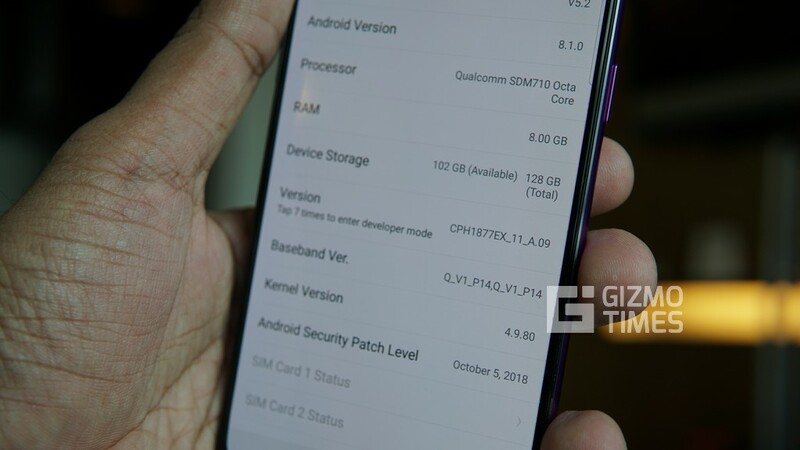 The Qualcomm Snapdragon 710 chipset paired with 8GB of RAM works extremely well to launch applications quickly and also cuts down on the loading times by keeping a part of the app in the RAM. We tried out different games including Need for Speed: No Limits, PUBG and Modern Combat and faced no issues with either of the games. While the device has decent hardware, the same cannot be said about the software. 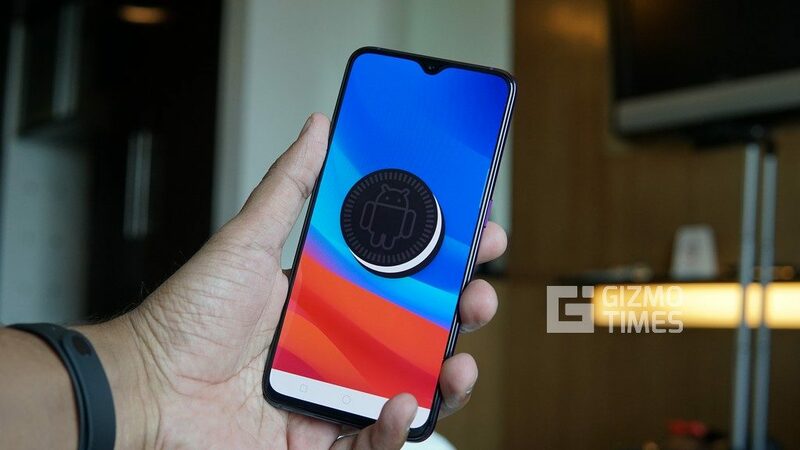 The device runs on Android 8.1 Oreo-based ColorOS 5.2 software, while this might be better than the UI on some other smartphones, the overall looks and feel don’t feel modern and the brand needs to work on the software to make it more unique. 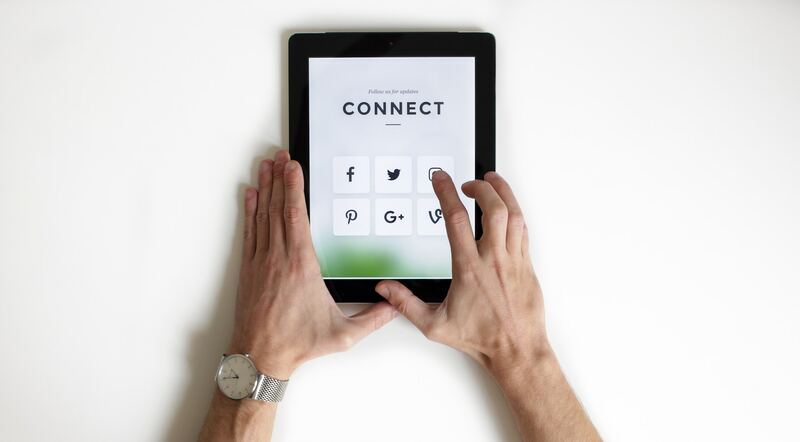 The Settings application is one of those parts of the OS that needs immediate attention as a lot of the features are hidden deep inside the menus and unless you spend exclusive time exploring the features, it is difficult to find. There are some nifty features in the software such as the AI album which conveniently sorts the images and videos based on factors like the people in it, places, scenes, and other factors. This might be a counter-step as the device anyway comes pre-installed with Google Photos application and that does the work just as well, if not better. The Smart Bar is a more compact and cut-down variant of the highly famous Edge Screen feature on the Galaxy smartphones. The bar peeking out of the edge of the display can be swiped to expand and display all the shortcuts, there are also dedicated buttons in the software for commonly used functionality. 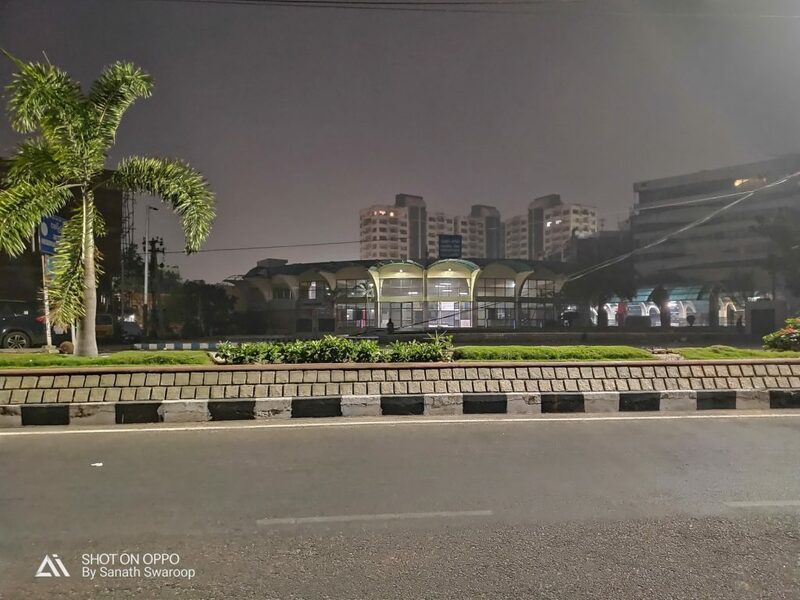 The camera is perhaps one of the best features of the Oppo R17 Pro. The device comes with a triple camera set up on the rear including a 12MP primary sensor and a 20MP secondary sensor, there is a TOF sensor as well for 3D depth capture. The device takes some of the best photos irrespective of the lighting conditions. We found the result images to be very well balanced and with the right saturation levels. While the colors had a slight shift from natural, they ended up looking good. The primary camera comes with a variable aperture and can shift between f/1.5 and f/2.4, this technology was first seen on the Samsung Galaxy S9 and Galaxy S9+. The camera also comes with OIS to help with low light imaging and stable video capture. 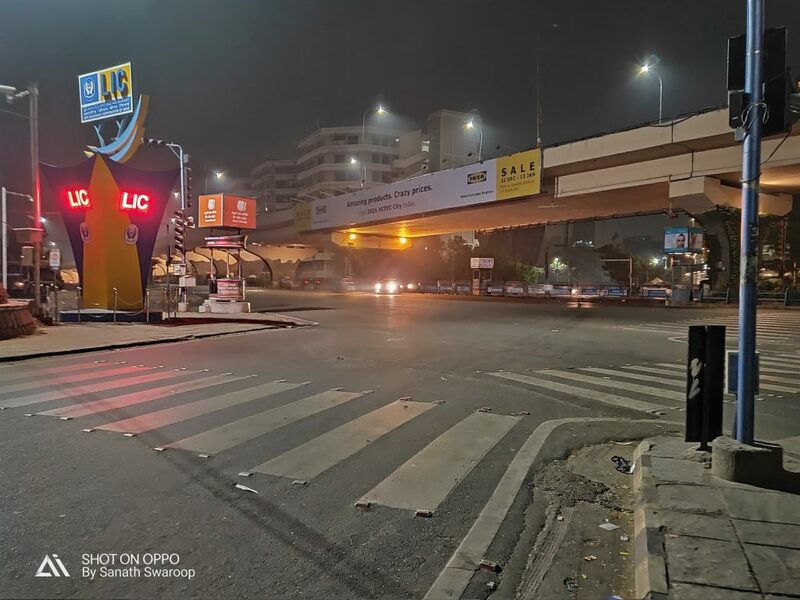 The auto-focus and shutter are both very quick, however, in the night mode, the device suggests you hold it still for longer to get more details captured. The f/1.5 aperture handles the low light shots very well as more light enters each pixel, the pixel size on the camera is 1.4um, this is very impressive considering the Pixel 3 and the Pixel 3XL have the same pixel size. The sensor on the device is the Sony IMX362 which delivers impressive results despite being slightly dated. The night mode does an amazing job and captures multiple shots before clubbing them all together to get the least jitter possible. 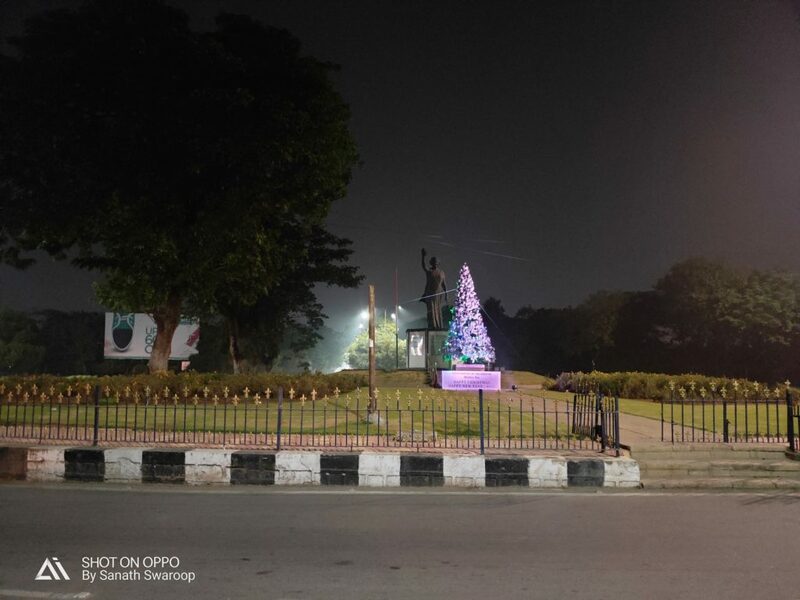 The Oppo R17 Pro is perhaps the only device in the price segment that does so well in low light imaging. 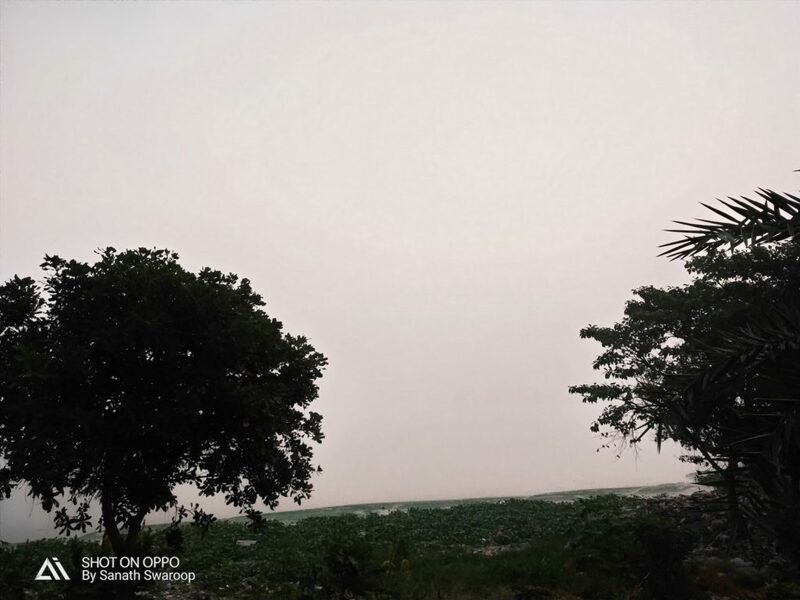 While the Oppo R17 Pro application comes with an AI option, we couldn’t see much of a difference by toggling it. The AI Engine is said to identify 23 independent scenes over 800 combinations and all this happens in the background while you press the shutter. The recognition and enhancement happen in Realtime to recognize the environment and apply the best scene based on the closest match. There is also an ultra-clear and color engine option to give the best night shots and improve the color accuracy. The AI is also used in the Portrait mode where the Oppo R17 Pro applies a 3D lighting technique to achieve background bokeh and other smart movie style lighting effects. The front camera on the Oppo R17 Pro is a 25MP sensor with an f/2.0 aperture. The brightness and contrast levels are handled well, and the highlights look good. Surprisingly, the images and selfies shot in auto mode don’t apply the beauty mode very aggressively, there’s a dedicated option if you want it. The overall UI of the camera has remained the same for a while now and the different modes are easily accessible. The battery and the charging are yet another highlight of the Oppo R17 Pro. The 3,700mAh battery on the Oppo R17 Pro easily powers it through the day and gives at least about 7 hours of use. On a regular day, the device lasted us over 7 hours of mixed usage including 4G data usage, Bluetooth connectivity to smartwatch and audio streaming, calls, texts, and emails. On heavy usage including games and watching videos, we could still get in about 5 hours which is pretty good. There is a power saving mode to extend the battery life further by disabling the background apps and auto-sync. 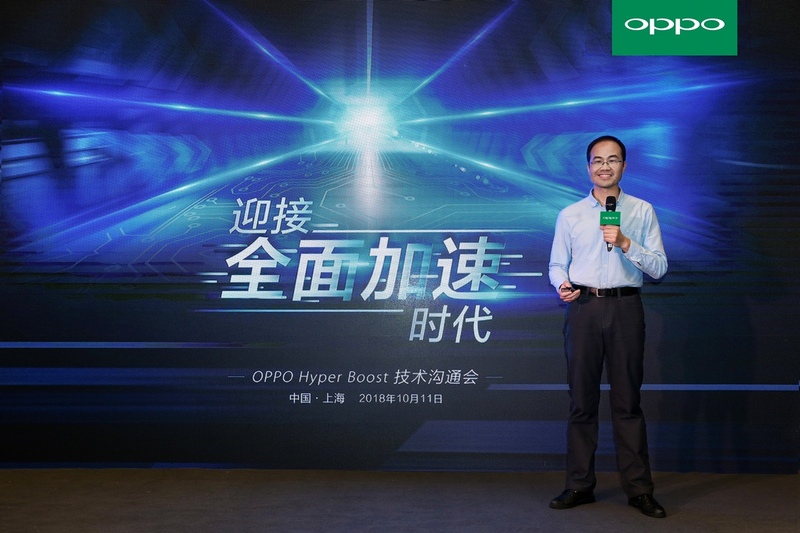 The above average battery is paired with an exceptional charging solution, the VOOC charging tech has now been upgraded to 10V 5A fast charging and is now called Super VOOC. The closest competition is from their own sibling brand, the OnePlus 6T offering 5V/4A in the regular variant and McLaren edition delivery 5V at 6A. The charging speeds are breathtaking and charge all the way to 40% from zero in just 10 minutes, the device goes from zero to full in a little over 40 minutes. The Oppo R17 Pro is a very competitive smartphone and does a pretty good job with the basic specifications. The performance is better than expected and the Snapdragon 710 chipset gets most tasks done easily. The design is similar to the OnePlus 6T with the right changes that set it apart. 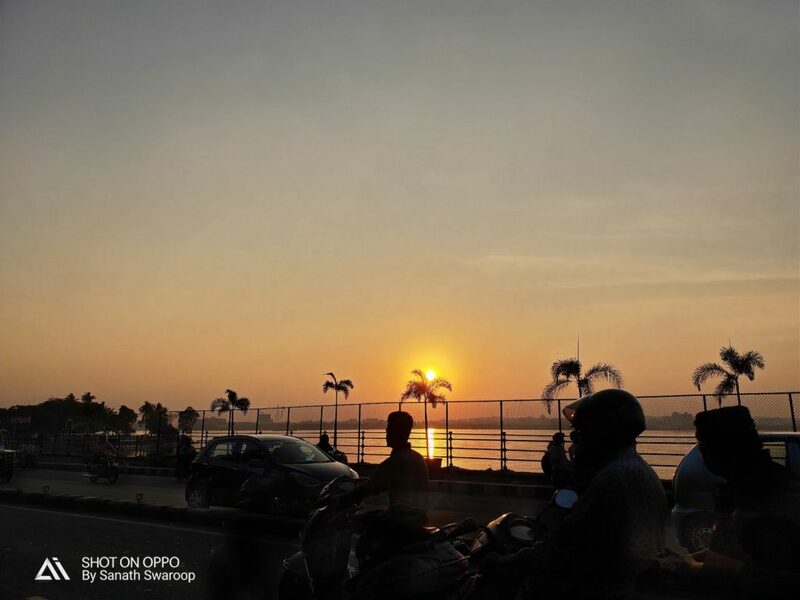 The Oppo R17 Pro has the best camera in the price segment and every other smartphone camera will find it difficult to keep up. The display on the device is above average and does a great job reproducing the pickiest of colors. We feel that the only major downsides on the Oppo R17 Pro are with the software and the processor. The ColorOS interface is slow in getting updates and has several parts that need refinement. Also, with every other device in the price segment offering a Snapdragon 845 chipset, the Oppo R17 Pro does lag behind with a Snapdragon 710. This is, however, more than made up for by the amazing camera and the SuperVOOC charging support.